I’m wondering how to remove the links on the shop page to the single product page — I simply want users to be able to click on the ‘add to cart’ button on the shop page. Unfortunately there’s not a small code snippet that can remove these links for you, as they wrap several elements of the products in the shop archive. However, we can achieve this by overriding the shop template and manually removing the link from this template. 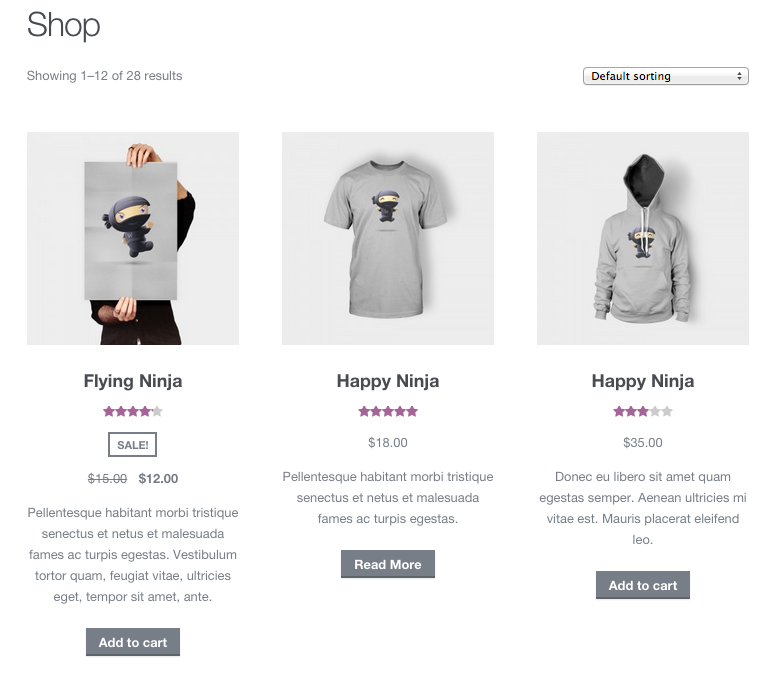 The only issue that you should be aware of here is that templates can be updated, so for each major WooCommerce update, you should ensure your overridden templates are up-to-date. We’ll need to override the content-product.php template in our theme. If you’ve never done this before, here’s a guide to doing so. This will leave only the “Add to cart” button available, so customers won’t be able to view the product page, but can still purchase the product. This can be helpful if your products don’t require much description, or you link to product pages elsewhere. from my template. 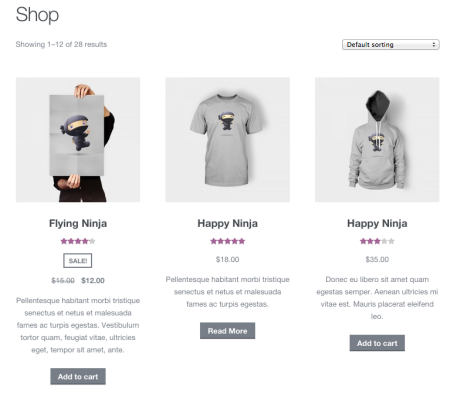 This is all that’s needed to tell WooCommerce to remove links to the product page from the shop page, and now customers will only be able to add products to the cart from the shop. If you do this, you may find it helpful to display a short description to the customer on the shop archive instead. You can use your product short description on the shop page to do so in order to ensure your customers have enough information to make a purchasing decision. I have tried the above procedure to remove product link, but it did not works. You’re a life saver, thank you so very much!! Is there a way to put the short description just right above the product price. I’m also using the product add-on plugin. I’d like to put the short description above price and the add-ons. is there a way to add a zoom image link?like lightbox? I want to change the permalink to the ‘add-to-cart-function’. 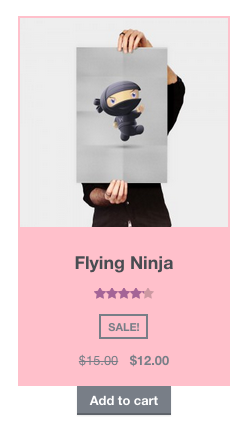 For example, when a user is clicking on the image the specific product gets to the cart. What do I need for this behavior? Did Woocommerce update content-product.php since this article was written? I’d really like to know how to do this but line 44 is not a permalink. Looks like it Amandathewebdev! I’m not sure if you are still looking, but I just had this problem and think I’ve found a solution. @Darren, that worked for me. Thanks for posting! Thank you! That did the trick for me too! Hmmm.. adding that to functions didn’t do anything to the shop page. The link is still there. Try switching themes to a default theme (like Twenty Sixteen) and re-adding it. If it works, your theme is bundling outdated templates and needs to be updated. Nothing happened. I tried changing themes and this didn’t work either. Any suggestions? Same here. I added the code to my child theme’s functions.php but it doesn’t work. Is there anything else to be done apart from that? For me it worked if I changed the string parameters (woocommerce_SOMETHING) in remove_action() to straight quotes ( ‘ ) not smart quotes ( ‘ ). Looking at my post above, it’s clear this comment form converts straight quote to smart quotes. I think there is something else that’s messing it up. Even changing themes doesn’t fix it. I am WP 4.4.2 and WC 2.5.2 – the latest as of today! this code works on pages for sure, but anybody knows how to remove product links from mini-cart widget? Great catch. That was the problem here: the quotes. 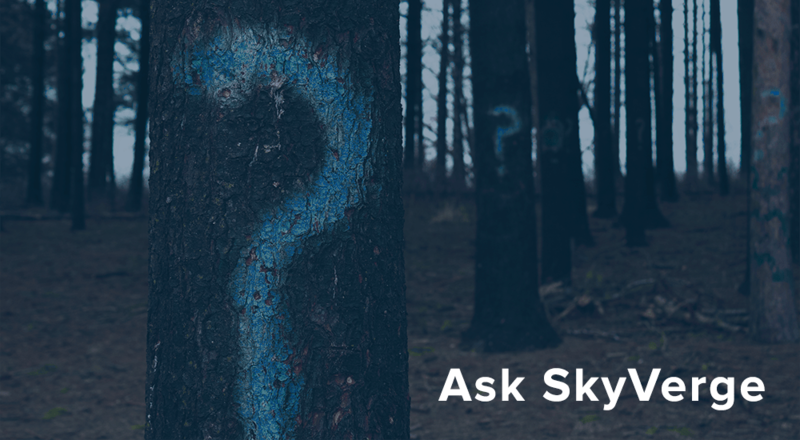 Seriously, every time I go looking for a solution I find SkyVerge; love it. The above is actually not working in Twenty Sixteen (I’ve probably got it coded wrong) but in theory this should still work correct? Has anyone tried targeting just a specific category? However, I want to target also a specific category or only out of stock products. The 2nd code didn’t work for me either. Did you manage to find a solution for that? The link to the product page have removed but the image still can be hovered. How if I would like to replace the text “Removed. Undo?”? For the same, If I want to change the link to a custom page that I have created for each product, how do I do that? Adam, thank you so much you are the freaking best! I’ve read countless forums and FINALLY found the answer to my problems woo hoo! I need to remove particular sentence from the product description. I added nearly 10000 products and I need to remove the common sentence in all product description. i need shorten woocommerce url, is that a plugin help me ?